247 Education Sponsorship Program (ESP) pledges. $198,939 combined donations and ESP pledges! cfc awarding from odie maunes on Vimeo. 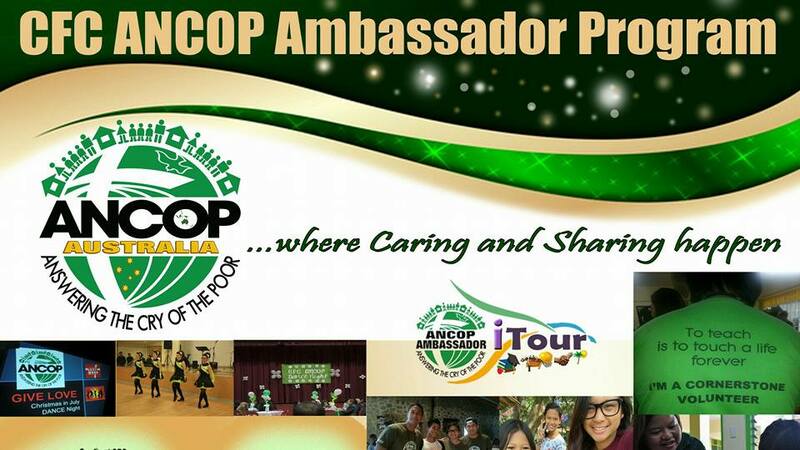 Ambassadors are called to raise awareness for ANCOP's programs and projects. Part of the program is an Immersion Tour where the Ambassadors have the chance to visit ANCOP villages and meet some of our ANCOP scholars.